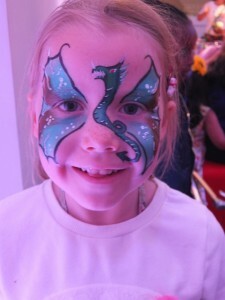 #MyDragonandMe with #Netflix #StreamTeam for Dragons: Race to the Edge! 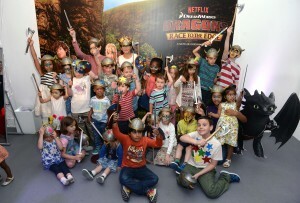 How To Train Your Dragon Series Launch – Netflix. There is a hardly a day that goes by in our household when someone doesnt have Netflix on. Interestingly the other day it was suggested that the BBC iPlayer might become a paying service and I was consciously thinking about which on demand services we use the most and it has to be said that Netflix was far and away the winner. I think its value is in the sheer diversity of stuff available. I’ve recently been watching the third series of Orange is the New Black, Community and Black Books and will be writing more about these soon. 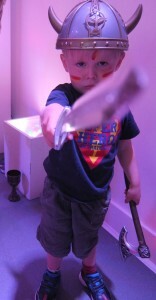 However the kids have been watching Dora, Diego, Umi Zumi and more recently Dragons! Dragons really strikes a chord in our household as we love the books, even travelling to a book festival to see Cressida Cowell speak about her inspiration for writing them. They combine adventure, fantasy, folklore and a bit of archaeology perfectly and to be honest i’m incredibly jealous of her for writing such a perfect kids story. So, as big fans of the books, film and now TV series we were absolutely THRILLED to be asked along by Netflix to a special #StreamTeam event to celebrate the launch of the new series. 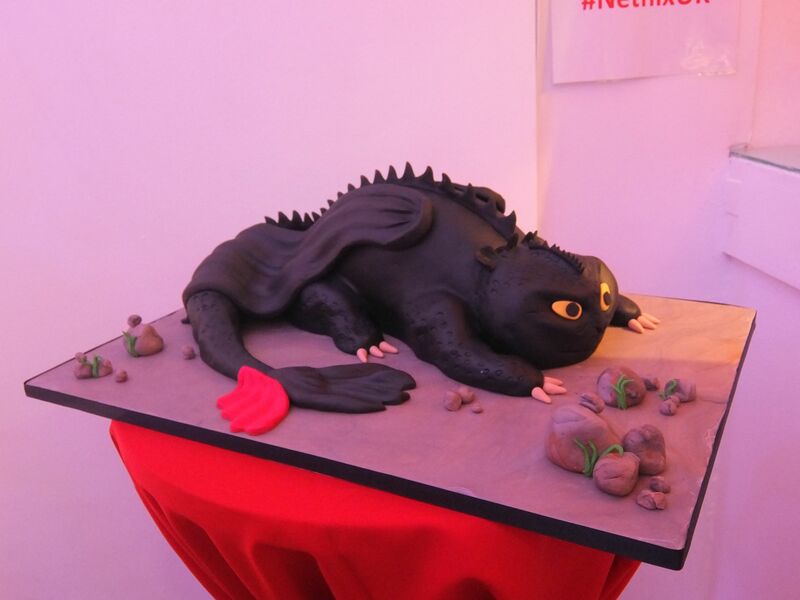 An amazing cake, some fabulous themed food, face painting, craft, dressing up and the chance to see one of the new episodes made for one of the best blogging events of the year. The new Dragons: Race to the Edge has the same cast as the movies and looks very similar, just on a small screen. Its easy to follow meaning its perfect for the siblings of more established fans but still hits the right note. Netflix and Dreamworks as a partnership makes for ideal quality children’s viewing and you wont go far wrong with this one. We love it and I think you’ll enjoy it too! Netflix are running little blogger competition for our kids. They want to see some amazing pictures of their dragons. If you want to have a look you’ll find them on Twitter at #mydragonandme my kids are shooting videos and all sorts of things! Posted on 7th July 2015 12th February 2016 Author Claire WalshCategories Days Out, Film ReviewTags Being a MummyLeave a comment on #MyDragonandMe with #Netflix #StreamTeam for Dragons: Race to the Edge! Carole Holland and her daughter Tori (5) and son Arthur (4) with their historical skit. the children loved climbing the battlements and we all enjoyed the bird show. It goes without saying that the trebuchet demonstration was a highlight. This year at Warwick Castle there is a new attraction the Horrible Histories Wicked Warwick Stage Show and this is what the W Factor was all about as the winner will have a cameo role in the show. This stage show will be a brilliant addition to the already ample offer at Warwick Castle. 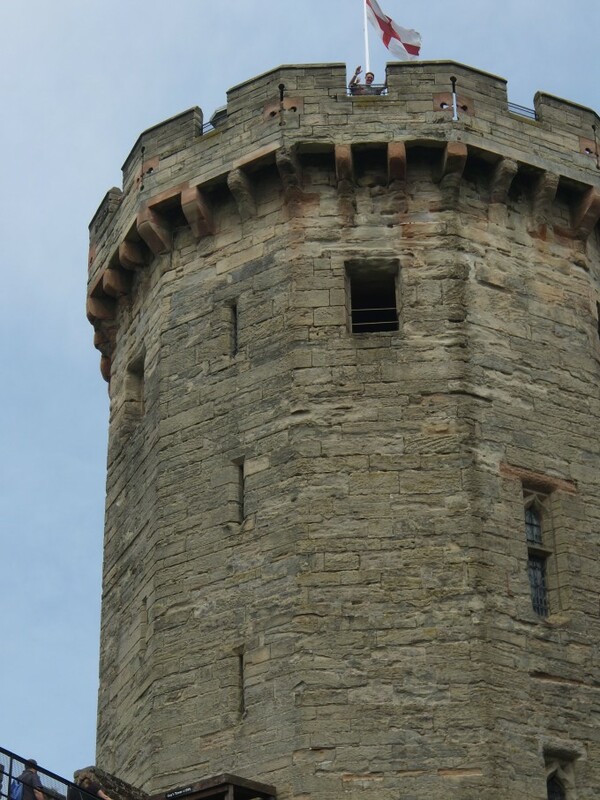 If you have a child who loves history, or one that you are trying to inspire then a trip to Warwick Castle is the ideal solution for a guaranteed great day out.